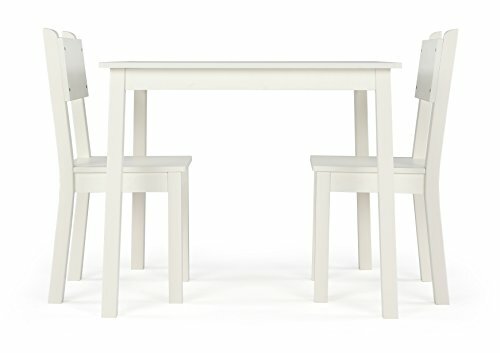 Curious Lion Wood Kids Table and 2 Chairs Set (White) by Humble Crew at Indsight. Hurry! Limited time offer. Offer valid only while supplies last. The Curious Lion Kids 3 Piece Table and Chair Set, by Humble Crew, is the perfectly sized table and chairs set to meet your growing child's needs. The Curious Lion Kids 3 Piece Table and Chair Set, by Humble Crew, is the perfectly sized table and chairs set to meet your growing child's needs. This children's table and chairs set can be used as a homework study desk, an arts and crafts activity center, a board game table, and table for eating and having fun. The set includes a rectangular table and two chairs. If you have any questions about this product by Humble Crew, contact us by completing and submitting the form below. If you are looking for a specif part number, please include it with your message.